In most cases, sending an unsolicited demo to music companies is frowned upon, and the chances of it actually reaching anyone with influence is low. But once in a while, there is the story of a band obtaining a lucrative record deal by using that tactic. While Mexico City’s Chikita Violenta was not seeking a glitzy record deal, the band has proven that sending unsolicited e-mails can lead down a fruitful road. After releasing a self-produced album in 2003, the indie rock band, whose music is entirely in English, was hoping to collaborate with a respected producer for its sophomore album. At the time, professional recording studios in the band’s home country were few and far between, and the options that did exist were outside of the band’s budget. Being avid readers of the college rock-focused magazine, CMJ New Music Monthly, the guys of Chikita Violenta were inspired to follow in the footsteps of bands like Pavement, Sebadoh, and Sonic Youth. They researched ways to record outside of Mexico and launched an e-mail campaign directed at their favorite producers. Canadian producer Dave Newfeld, who is known for his work with indie rock luminaries Broken Social Scene and The Most Serene Republic, was one of the people who replied to Chikita Violenta’s e-mails. Newfeld and the band, which also consists of vocalist Luis Arce, guitarist Esteban Suarez, and bassist/keyboardist Armando David Ortigosa, quickly formed a friendship. The band spent about a year e-mailing Newfeld demos and receiving feedback before traveling to Toronto to record its sophomore album, The Stars And Suns Sessions, which was named after Newfeld’s studio. For Chikita Violenta’s third album, TRE3S, which was released in January and is the band’s first album to be distributed outside of Mexico, there was no doubt that the band would once again work with Newfeld, Velasco says. For a band with melodies and guitars that gush pure exhilaration, it makes sense that Chikita Violenta would want to continue working with someone like Newfeld, who has a way of making music soar with emotions that skyrocket and plunge. While Mexico has its own prominent rock bands, the members of Chikita Violenta spent more time listening to music that was made outside of the country, Velasco says. Before daily downloads and blogging become a way of everyday life, the band relied on physical U.S. press to discover new indie rock bands. Each month, they would go to Tower Records and buy CMJ New Music Monthly. While Spin and Rolling Stone were also available, the band gravitated more towards CMJ because it catered to the indie crowd and included a sampler CD filled with new music. Velasco acknowledges listening to popular Mexican rock bands like Caifanes, Café Tacvba and Molotov, but his music collection and that of his bandmates are dominated by ’90s indie rock and classic rock of the U.S. and U.K. Considering that strong influence, it was natural for Chikita Violenta to create music with vocals in English. A decade ago, it might have been surprising to hear a Mexican band sing solely in English, but with the internet making music more readily available, Velasco says it is no longer considered unusual. In the first few years of Chikita Violenta’s career, there was some negative feedback from Mexican music fans regarding the English lyrics, but now backlash is rare. Even programming at major rock stations in Mexico now includes music in both Spanish and English. With so many successful European bands coming out of France, Sweden, and Denmark that do not sing in their native language, Velasco is hopeful that Chikita Violenta will be accepted in the same manner. Chikita Violenta has not only been embraced by music fans in Mexico, but has been getting a positive response in the U.S. as well. In addition to playing this year’s SXSW, the band previously showcased the festival in 2008 and 2009. While TRE3S was first released last fall in the band’s home country, through Arts & Crafts’ office in Mexico City, it was then picked up to be distributed internationally by the main Arts & Crafts office in Canada. Velasco hopes that a wide release will help continue to blur cultural lines and encourage people’s minds to open up even further. The band’s work on TRE3S has already started to eliminate geographical lines, as anybody who listens to the disc could easily confuse Chikita Violenta for a band from Brooklyn or Portland. The album has a starry-eyed feeling with bursts of wonder, creating a fresh sound similar to that of bands like Local Natives, Beach House, and more obviously, Broken Social Scene. They stay true to their ’90s indie rock influences, with some added fuzzy and adrenaline-driven tones. A new recording environment also played a big part in adding warmth to the new album. While Chikita Violenta once again worked with Newfeld on TRE3S, they skipped his downtown Toronto studio and instead helped christen a 19th Century church Newfeld purchased in eastern Ontario. The band loved playing around with all the different acoustics in the church, Velasco says. Depending on the type of effect that they wanted to achieve, some tracks were recorded in the main chapel for a bigger sound, and others were done in smaller halls and in the church basement. According to Velasco, they had initially planned to record the entire album in one trip to Canada, but as new ideas started to flow in the studio and things came up in the band’s schedule, they ended up spreading the work over three sessions. The three sessions gave the band the freedom to sit on the music and later take a listen with a fresh mindset. Since the band visited Newfeld just shortly after he bought the church, the band members helped arrange furniture and get other things in place, allowing them to focus on something other than the album. The first few days of the band’s initial recording session were spent planting pine trees on the property. The tree planting, the three recording sessions, and TRE3S being the band’s third album all served as obvious inspiration for the album’s title. Not only is that influence evident on the album name, but the sounds also reflects deep thoughts and the delightfulness of nature. The instrumentation on songs like “Roni,” “All I Need’s A Little More,” and “Tired” is bright, and excitement is strongly heard in the vocals. Even though there were three separate recording sessions, the album flows effortlessly, and nothing sounds rushed. Nonetheless, though some elements were produced spontaneously because the band and Newfeld worked without a strict timeline, Velasco admits there were some elements that required planning. Without a permanent drummer, Chikita Violenta had to consider hiring an additional studio musician. Besides singing, Arce also plays the drums and was able to lay down some tracks, but the band wanted a more seasoned studio drummer. Newfeld recruited Loel Campbell from Wintersleep and Tony Nesbitt-Larking from The Most Serene Republic. 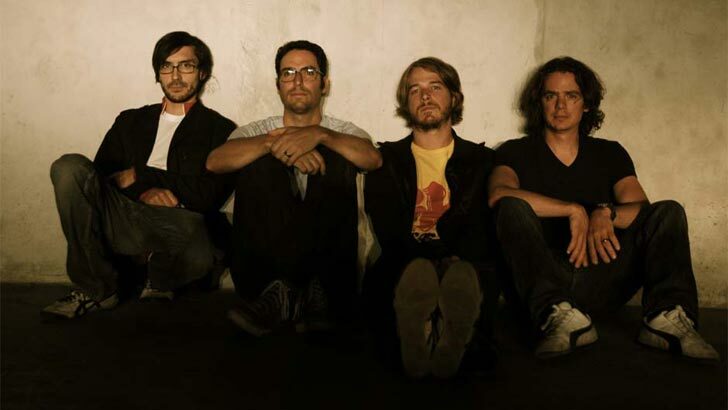 Likewise, after reviewing some recorded tracks, the band felt that female vocals would add a nice touch, and Newfeld called upon Broken Social Scene’s Lisa Lobsinger for guest vocals. Indeed, her contributions on songs “Holiday” and “ATPG” intertwine smoothly with the band’s music, like a soft, colorful rose growing in a garden. After seeing everything come together for the album, Chikita Violenta was eager to get on the road in support of all the work, Velasco says. Even though the band had played at SXSW a couple of times, it never had a proper tour in the U.S. until last fall, when Chikita Violenta was booked as a supporting act on two U.S. tours. They first supported indie veterans Built To Spill — a band that Chikita Violenta have loved for years – and followed that with a tour supporting Ra Ra Riot. Velasco notes some differences between the tours, such as the size of the venues and average age of the fans, but both were fantastic learning experiences. While rock music in Mexico is expanding, it is still hard for indie bands to tour around the country. Other than in major cities like Mexico City, Guadalajara, and Monterrey, people in Mexico are not accustomed to going to shows during the week. It is not like in the U.S., where on any given night an indie band can pack a venue in a random college town. While Chikita Violenta have played countless of shows, touring in the U.S. was a completely new beast of an adventure. They were not used to the countless number of hours spent driving and the lack of healthy food on the road. The guys learned a lot from the other bands and kept a book of touring tips. According to Velasco, one of their biggest discoveries was the hotel and air travel booking website, Priceline.com. At the beginning of their tour with Ra Ra Riot, they were spending a lot of money on hotels, until We Barbarians, another supporting act on the tour, clued them into the deals on Priceline. In addition, Built To Spill helped remedy the fast-food-blues by sharing their catering with Chikita Violenta and advising that they save it for the road. Ra Ra Riot’s tactical contribution involved stocking up on healthy snacks at Whole Foods. It is nice to learn that Chikita Violenta are still enthusiastic about new experiences even though they’ve been playing together for more than a decade and TRE3S is their third album. That positive attitude is making their future look bright, and the band members are more than willing to put in the required work to gain bigger recognition in Mexico and around the world. From recording in Canada to consistent showcases at SXSW and a spot at this year’s Vive Latino, Mexico’s biggest music festival, they are on the right track to having North America covered. Contest: Win A Prize Pack For Hanna!